(Newser) – "Pink slime" may have become the scourge of the meat industry a few years back, but time and rising beef prices can work wonders. The Wall Street Journal reports that the two biggest producers of the product they prefer to call "finely textured beef" have mostly bounced back after sales bottomed out in 2012 amid a flurry of negative media reports. "Two years ago, no one would return our calls," says an exec with Beef Products Inc. "Now some of those same people are calling us unsolicited, and we don't have the sales staff to maintain the new business." And a spokesman for Cargill says, "We're almost recovered from it." A big reason is that ground beef prices have risen 27% in the last two years to about $3.80 a pound. It's only a dollar per pound more for organic beef. Even less for grass fed, non-antibiotic. The objections to "pink slime" seem to be fundamentally aesthetic, and not based on any actual risk. I have not found any studies that show that this processed beef poses any actual health risks -- I've seen speculation of it, but nothing that has any actual foundation. I've also not seen any indication that it is less digestible or less nutritious than other forms of beef. If there is such evidence, it needs to be published and cited; if not, then the topic should be treated as just another case of media hyped FUD and appropriately disregarded. The citizens of the USA have rejected irradiation for meat products, so the meat industry needed to come up with an alternative method. 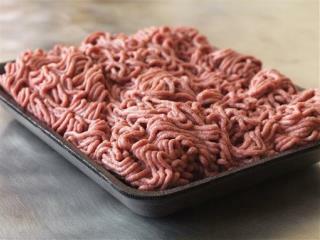 Ground beef treated with a form of ammonia gas is one of those methods. The citizens want an affordable, safer ground beef supply, but refuse to accept many of the methods developed to achieve that goal. I do agree that the LFTB(Lean Finely Textured Beef) should have been included as a separate ingredient on the labels of the products it was in. Previous transparency and disclosure on packaging would have helped lessen the chaos surrounding the news exposure of the LFTB product use as an ingredient.